blue monday...don't we all just love it! 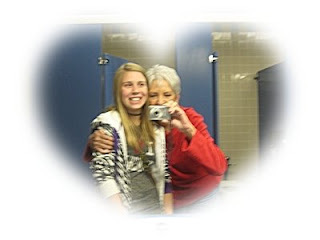 please go by to see her...she really IS always smiling and makes my day a little brighter every single day! honored to have one of her books on my shelves...."
Good morning BJ, I'm just a tad blue this morning. We are supposed to go to Christmas luncheon and we are snowed in. I will just have to decorate for Christmas. That's a good thing. As always I love your post this AM. Especially your diva shot. 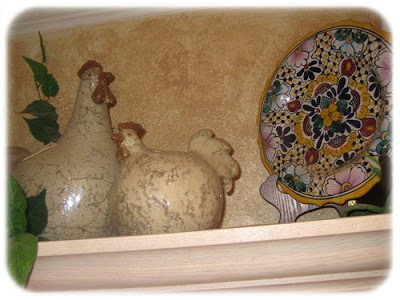 Love the plate and hens. I am sure your dtr. has a flair for decorating too. I so envy your bookshelf. sigh. Our books are still in boxes in the garage. A chore beyond words. on how to simplify my life. Lucky you. A blue book by Danielle Steele. What more could a girl want? You and your grand daughter are dolls. I bet she just loved that!! I am so envious of your wall of shelves! What fabulous Divas you two are!! 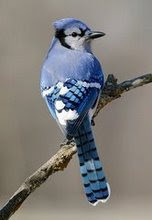 HI BJ - You really have a wonderful assortment of blues today. I really enjoyed your post. But - I must tell you that my favorite is the "bestest" art work. You really gave me a great idea for displaying my wide array of art that my grandchildren present to me. Happy Blue Monday. Your diva shot will thrill Shelia. I'm glad your book arrived, and I hope that you do enjoy it. I LOVE those book ends! How cute is that? Good morning, Sweetes BJ!! 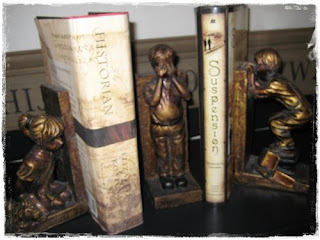 Love all your books and those bookends are too precious!! 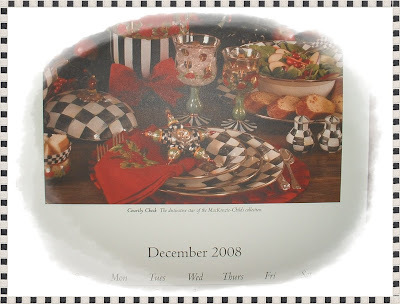 Are those Mackenzie Childs dishes in your first photo? I love these, but alas, don't have any. :( Oh, yes, yes!! Another Bathroom Diva. I love it! This must be your gorgeous granddaughter with you!? I'll have you both up tomorrow. Be a sweetie and thank you so much for your sweet kind words. Lovely blues for today! I enjoy Danielle Steel too. I have read several of her books. Enjoyed your post today! I just wanted to stop by and say hello...I don't think we have ever swapped comments but I would love to add you to my sidebar if that's okay. I believe I left comments when you were in the hospital. I am glad you are better. I would love to have you stop by sometime. Happy Blue Monday! I'm a lover of books too! That plate from Mexico is very pretty! What a great collection of blues. I love the wall shelves! WHAT A FIND! I can not imagine being so lucky to find shelves that fit my wall as perfectly as yours does. Great. Have a great week. I love to read too! Love your bookends. Books really are our friends I have found too. Fiction or non fiction, it doesn't matter to me. I'm giving books as gifts this Christmas. Have a great week reading. Happy Monday, sweet BJ. You are such a lucky lady to win such a great book. I love your wall of books, too. Those chickens are just the cutest. I bought my first two last week. However, they are not from France, but TJ Maxx! HA!! Girly, you better get over to my blog and sign up for my giveaway! You're about to miss it!!! LOL!!!! Have a blessed day girlie! 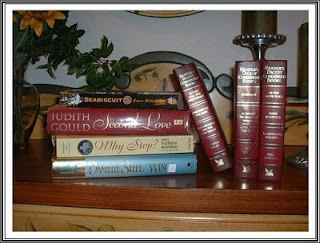 Your bookshelf looks like it is filled with some wonderful books including your new Joyce Meyer one! What a lucky win. I have seen Joyce on TV...doesn't she have such good Christian common sense? Love her! You look lovely as a bathroon diva BJ!! Happy Blue Monday to you too! I am very envious of your wall of book shelves. My dream home will have built in bookshelves on either side of my fireplace...that is my dream. What a great post. I love all of your blue. I especially love how you have strung all of the art work. I used to do that when our children were little. 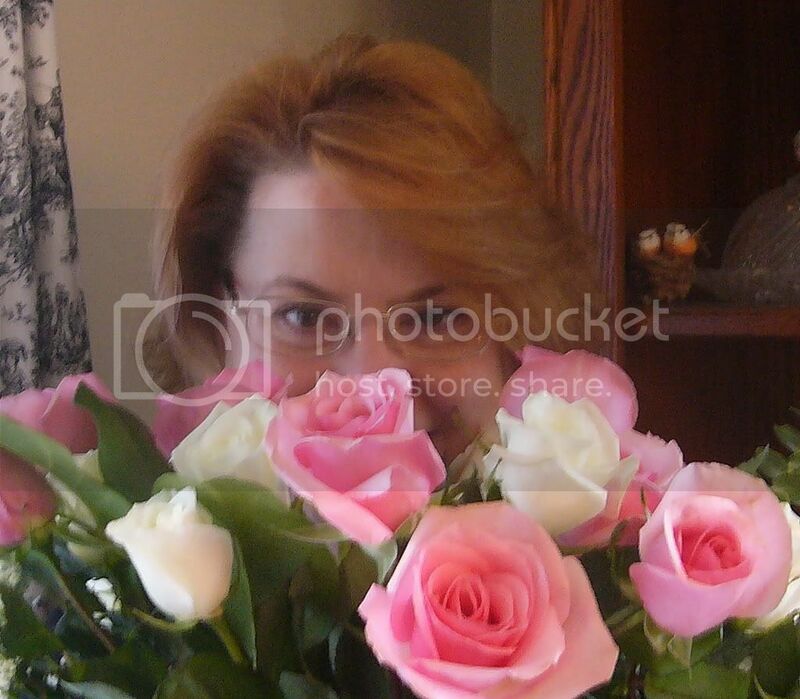 Hey BJ...great post girl..love the bathroom shot & those rooster curtains were so pretty! Hope you had a wonderful Thanksgiving my friend...thanks so mcuh for checking in on me! Cute bathroom diva shot! I can't believe you got those shelves for 80 bucks!! It sounds like you had a wonderful Thanksgiving and who wouldn't with all that wonderful food?! YUM!!! Hi BJ! I did my Blue Monday post last night and set it to post today while I was at work. I was so excited that I was participating that I forgot to link in over at Sally's until just now...oops!!! Love your Bathroom Diva shot!!! Oh BJ, I twitch with the "Iwants" every time I see that pretty book shelf wall of yours! Every time I see your bookshelves I get GREEN with envy...or on Mondays I guess that would be BLUISH GREEN with envy. Those shelves are so perfect...and what a steal! But then it's the wonderful way you decorated them that really makes them charming! 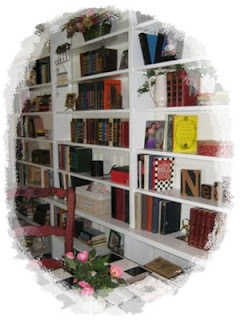 I just love that wall of books.... you are a book worm... and a mighty cute one too..
BJ, I love your book shelves! They look great! Happy Blue Monday! Oh I love those bookshelves. No wonder you nearly p'd on yourself! Love the diva shot too. You are cute as a bugs ear ! I really like the new look you have given your blog. It is so pretty - all decorative for the Christmas holiday ahead. I hope you had a good Thanksgiving. We spent a quite evening at home just the two of us. I enjoyed your photos you have shared for blue Monday. It's so good that you love books and love to read. I see I need to do some mega catching up here at Sweet Nothings! How have you been? I've missed everyone. How was your Thanksgiving? I am so rested that I feel re-charged. Don't forget, I am going to feature your blog tomorrow. Like you, I love reading and read about 2 books per week. I would love to have room for a set of those bookshelves. I could fill them with many wonderful books so there'd always be one at hand. A beautiful "blue" post. Hope all is well with you, my friend. 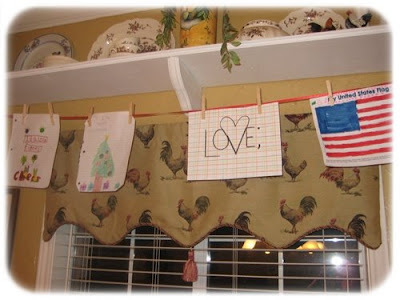 What a fun post....love it all. Wow - what a bookshelf you have. Wonderful space for books!! Hi! This is my first visit to your blog (I think!LOL). 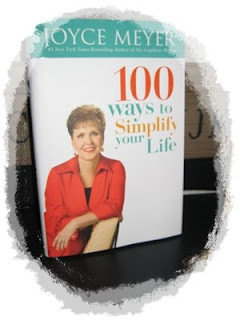 I also won 100 Ways to Simplify Your Life from Smiling Sally!! I LOVE this book! I can't wait to read more. I've just started reading it!